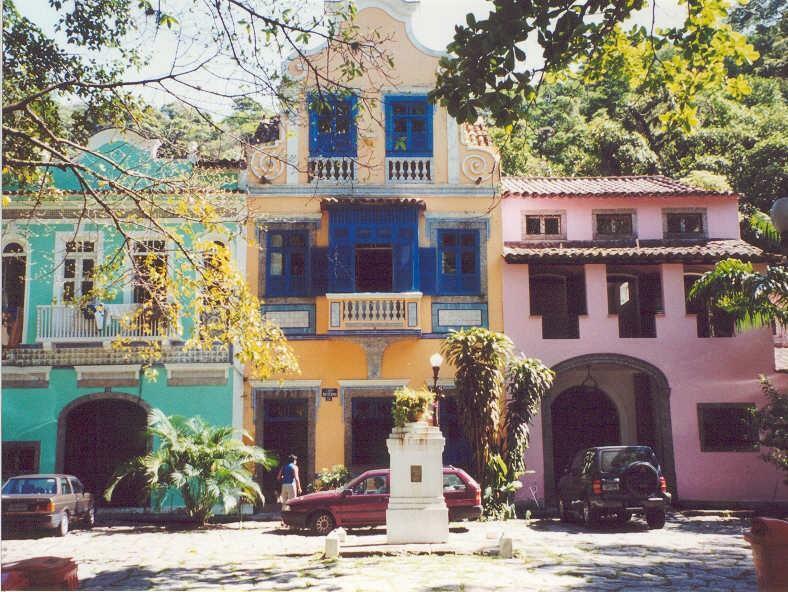 Cosme Velho is a small traditional neighborhood located in the southern zone of Rio de Janeiro. The main street of Cosmo Velho namely Rua Cosme Velho is an extension of the Rua das Laranjeiras. The Largo do Boticário is another unique feature of the neighborhood. It is a small square consisting of neocolonial style houses built in the 1920s. The two houses at the entrance of the square dates back to the early 19th century. All these houses have been built from materials of the older buildings in the downtown district which were demolished. Museu Internacional de Arte Naif do Brasil portrays some of the best works of naïf art and is the largest of its kind worldwide. Bright and vivid colors combined with unique and sometimes unusual perspectives are the characteristic of this style of painting. This collection has over 8000 pieces by artists from 130 countries with works dating from the 15th century until the present. You can get a discount by showing the ticket stub from the Corcovado cog train station which lies a block away. Clan café is neighborhood’s most favored eatery. You can enjoy good food in a splendid atmosphere filled with live music playing in the outer courtyard. Clan café is located right across the Corcovado train station and is open Tuesday to Saturday after 6 pm. So you can grab a bite to eat after you come back from your trip from the mountain. 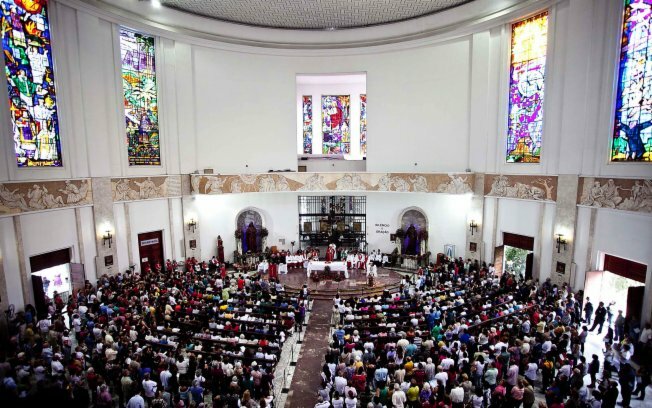 The St. Jude Parish was founded on 1 January 1945, when Archbishop of Rio de Janeiro, the then Cardinal Jaime de Barros Camara, celebrated its silver jubilee priest, but although the parish had a priest, it had no church. In Rua Cosme Velho, a chapel dedicated to St. Luke, the Pastor Goes, encouraged the celebration of St. Jude and the subsequent purchase of the building next to the chapel to build the church.The Church was officially inaugurated on December 28, 1968, by Cardinal Jaime de Barros Camara, and Dedicated (Sacred) to August 28, 1985, by Cardinal Eugenio de Araujo Sales. 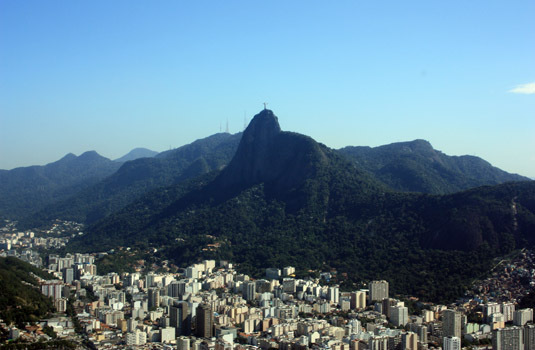 If you want to see Rio’s most famous sights then the Corcovado is your destination. And Cosme Velho is the main entrance to its visitation. This beautiful monument of Jesus Christ with his arms outstretched, blessing the city is definitely not something you can afford to miss. 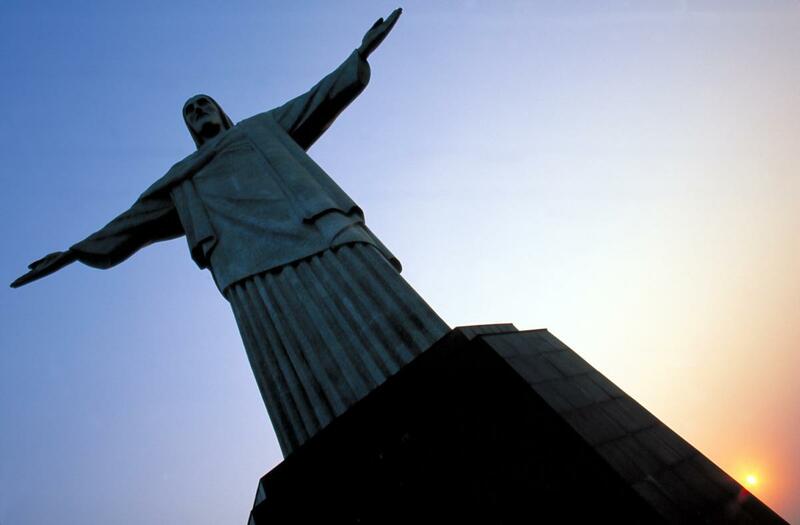 The statue stands on the hill of Corcovado, which is 710 m tall (about 2,400 feet). The statue itself is 30 meters tall (100 feet). The base of the chapel has room to accommodate up to 150 people. This spot offers a 360° view to Rio. The statue is easily seen in almost all neighborhoods . You can take the subway and get off on Largo do Machado station or a taxi to Rua Cosme Velho, 513 where you can buy tickets to the train that will take you uphill. The train leaves every 30 minutes for the mountain from 8:30am to 7pm, from Monday thru Sundays. The whole trip takes about 25 minutes. You can also take a small detour and head to Paineiras in the Tijuca Forest to enjoy the natural beauty of Rio.